Pothashang News Service: Imphal, December 12, 2018: Manipur chief minister Nongthombam Biren Singh has appealed the women of Manipur to join politics and earn seats at the Manipur Legislative Assembly on the occasion of Nupi Lal Day observed held today at Nupi Lal memorial complex, Imphal, in memory of the Manipuri ‘Imas (mothers) who fought against the mighty British. The state women have already participated at Panchayat level. Today it is highly needed for women’s participation in the law making body, added the chief minister. 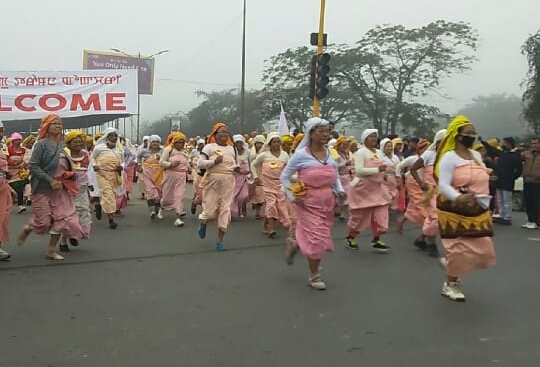 Manipuri women still have the courage and spirit of those mothers who took part in Nupi Lal. A good number of Manipuri women are serving as high ranking officers in the police department and state administrative departments taking big responsibility for the state, Biren said. The government is giving free admission for school dropout girl students from class IX to XII in government schools and providing text books and uniforms to them. We take the idea of women empowerment seriously, he added. Every year we remember the brave mothers and their courage. But only praising them will not help change the society. We must practically show respect to them by empowering them. We must respect women. Special fast track court has been established to give quick justice related to crimes against women. So far about 13 accused have been convicted, said the chief minister. Biren declared that in recognition of the courage and sacrifice of the then Manipuri women, the road from Keishampat to Sanjenthong in Imphal will be named as ‘Nupi Lal Road’. In this regard the government will take a cabinet decision soon. Deputy chief minister Y. Joykumar said in the First Nupi Lan of 1904, women of all communities fought against the order of bringing woods from Burma for new construction of Assistant Political Agent’s residence. Again in the Second Nupi Lan of 1939, they raised their voice against the export of rice when there was scarcity of rice in the state. The courage of the mothers of Nupi Lal has been inherited to the women of today Manipur. Meira Paibi (women activist) always comes in the forefront to confront and challenge that appears against the people of the state. We the men should respect and support the women when they struggle for reformations in the state that would help promote peace and harmony in the state, he added. The state leaders led the people in laying floral tributes to the statue at Nupi Lal memorial complex. A play on Nupi Lal was staged by joint artistes of Nupi Lan Memorial Association and Nupi Lal and Khongjom War Memorial Society. The artistes of Shri Shri Bal Mukunda Dev Government Music College, Imphal presented opening and closing song praising the courage of women activists in Nupi Lal. Ministers, MLAs, chief secretary, director general of police, high ranking officials of civil and police, students and general public attended in the observation. December 12 is state holiday of Manipur. 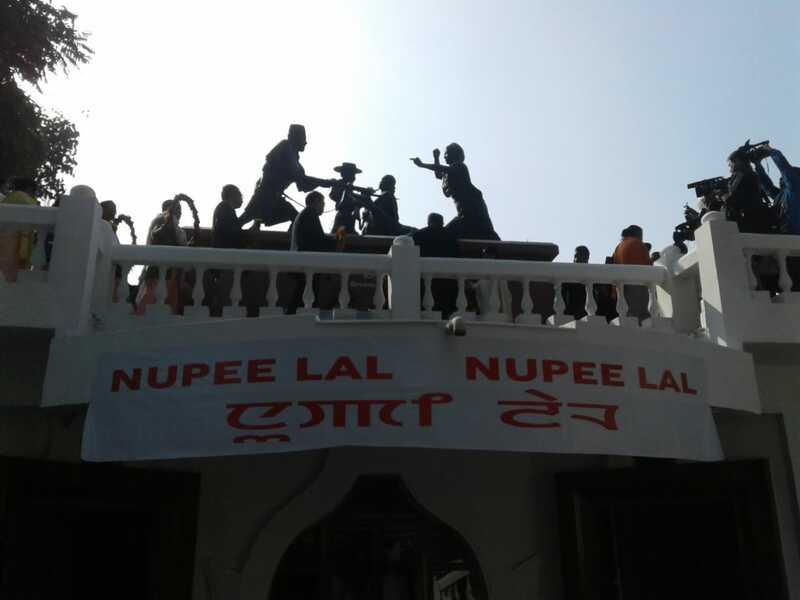 ‘Nupi Lal Ningshing Lamjel’ (Nupi Lal Memorial Run) was organised in the early morning in the heart of Imphal from the Nupi Lal Memorial Complex and conclude at Singjamei Supermarket in the early morning.